“It is as if every emotion we have is intensified on Christmas,” writes Bishop Mariann Edgar Budde. So join me in pausing for a few moments, taking a breath, and remembering that it is not in the grand gestures and the ornamented occasions that Jesus is born. It is in small things and small beginnings. It is in the ordinary. The unexpected. The unanticipated pleasure of sitting alone in front of a fireplace. The gift of peace driving down a neighborhood street on a quiet night. A baby born in a stable. “There is one thing we can do to make ready for God,” Mariann writes. “It has to do with trusting small things and small beginnings.” This may mean trusting that the tiny voice of comfort we hear in our grief will be amplified in the coming months, trusting that peace will come to our hearts and to the world (yes, even that), trusting that love will somehow find its way into our own hearts this season and that we will be given the will and the means to birth these things in the lives of others. In Sunday’s Gospel, Mary visits her friend and cousin Elizabeth, partly, I think, to make sense of what is happening to her. We are invited to join her. As a father, as a concerned citizen, as a leader, and as a person of religious conviction, I have been struggling for a while now to find my way in – struggling to figure out a way to faithfully engage with the complex issue of racial injustice and systemic racism in the city and community in which I live and work. I am heartbroken by the statistics and stories of inequality in our state and city, how the systems and communities here, as in so many places in our country, seem to be almost intentionally structured to negatively impact African Americans. While Minnesota may top the list over other states in literacy, public education, livability, the economy, and quality of life, the census data for the black community within our state tells a different story – we rank dead last in almost every category. And, there is a subtle and sometimes implied belief i n our country that the disadvantages and suffering of the black community are at least partially deserved. 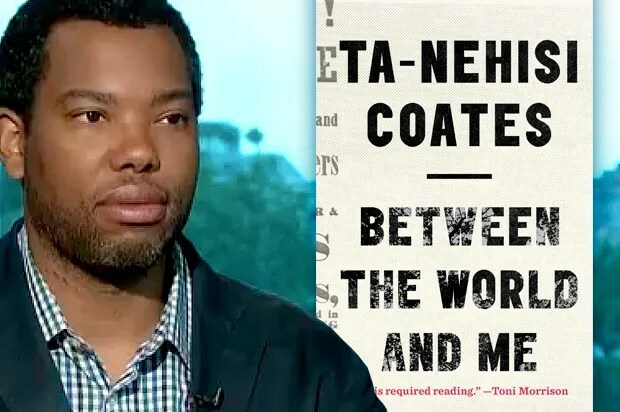 As Ta-Nehisi Coates said in accepting his National Book Award, “At the heart of our country is the notion that we are okay with the presumption that black people … somehow have a predisposition toward criminality.” Like Coates and many who have raised their voices, I refuse to be co-opted into this lie. It simply isn’t true. Yet, because of the fear that we might be asked to face some of our own culpability and participation in systems of oppression and white supremacy, the problem remains largely unaddressed. Survey after survey and poll after poll tell us that a majority of white Americans have deep trust in the judicial system and law enforcement officials, while African Americans have a disproportionate distrust of those same structures. Could it be that our experiences are vastly different, and could it also be that it is time we listen to the experience and stories of our brothers and sisters in the black community, and take them seriously? As I have come to grips with these disturbing truths from where I sit firmly ensconced in a position of white privilege, a privilege that I neither earned nor deserve, I have wrestled with what I can do. How can I begin to live responsibly and intentionally in ways that repair the gap and address the inequality? 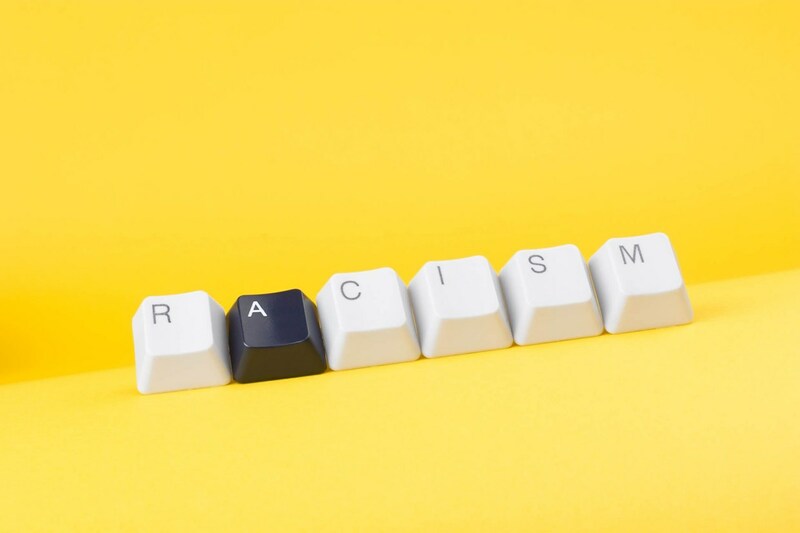 How can I teach my children to not only be “nice” to people whose skin is different from their own – rather, how can I teach them to eschew the privileges they will unjustly gain at the expense of their peers of color? How do I live as Christ lived and as he taught, reconciling Jew and Greek, male and female, black and white? How do I proclaim and practice the healing and reconciling love of God, that I experience in Jesus? How can I be transformed into a person who practices justice and peace in my life? from Holy Apostles Episcopal Church (our companion parish) invited me to join her at a protest at City Hall. 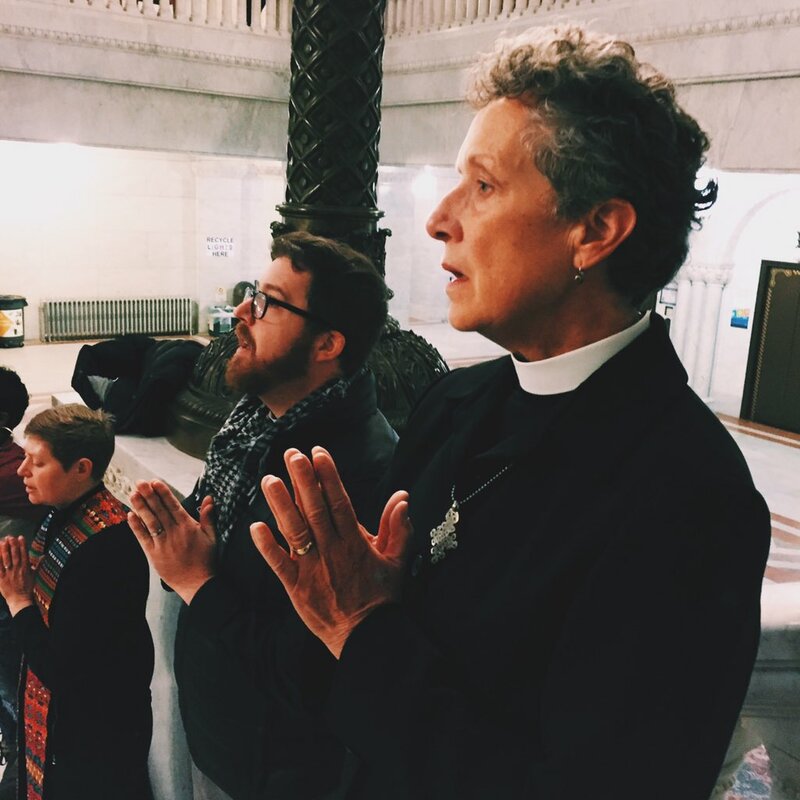 I went, I listened, and with other clergy from around the city, I used my status as an ordained person, to help (I hope) create space so that the protest might be heard, that the stories and suffering and demands of black lives, might actually be listened to. Our bishop asked that we look to the “abandoned places of empire” in our neighborhoods and around the city. I have been looking and listening and praying – as I am sure are many of you. I have been wondering where in the neighborhood around St. John’s we might engage on the margins with those who have suffered under structures of racism and injustice. And, then again this week I received another invitation to join in a conversation being hosted by the Wilder Foundation on December 9 at 6PM (451 Lexington Parkway N.). The conversation is called “Engage!” and is being convened by the St. Paul Public Schools and Ramsey County leaders to collaboratively reduce the number of children and youth of color in the criminal justice system. The conversation is open to neighbors, stakeholders, and community leaders as well as youth and children from the surrounding community. I have invited our Senior Youth group to join me and I invite any and all from the St. John’s community who, like me, have been struggling to find a faithful way to engage with systemic racism and injustice. I don’t have a lot of answers but I am tired of waiting to do something personally to engage and take action on this important issue. If you’re tired of waiting and want to act, let me know.